Huang, Wan Ying, 71, of Cranston passed peacefully Sunday (2/5/2017) at Rhode Island Hospital. Born in Guan Dong Province, China, a daughter of the late Jinduo Huang and Qijing Chen, she came to America in 1999. 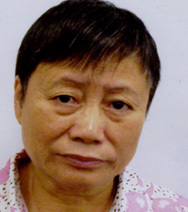 She was the wife of the late Neng You Liu. She leaves a son Yong Hong Liu, of Cranston 2 daughters Yan Hong Liu of Brooklyn, NY and Li Liu Huang of Cranston, 5 grandchildren Gary Huang, Davy Huang, Jin Wen Wu, Zi Yu Liu and Katy Y. Liu. Her life will be celebrated with calling hours Wednesday, (2/8/2017) in the Stapleton Family Funeral Home, 684 Park Avenue, Cranston from 6:00pm to 8:00pm. Burial will be in Pawtuxet Memorial Park, Warwick, Thursday at 10:00am.